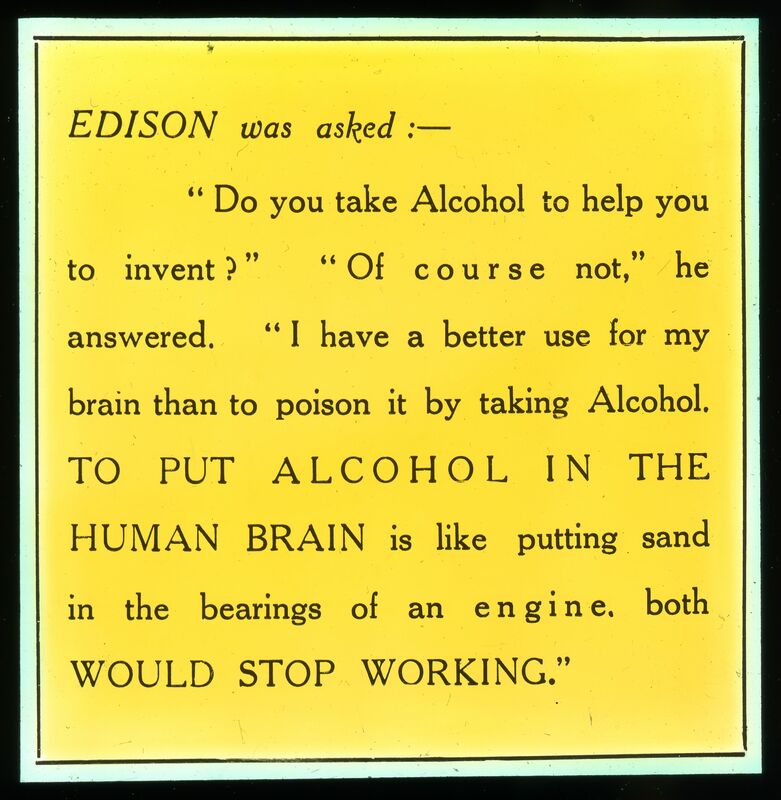 "Do you take Alcohol to help you invent?" "Of course not," he answered. " I have a better use for my brain than to poison it by taking Alcohol. 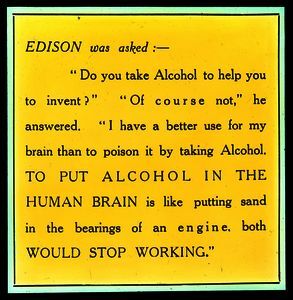 TO PUT ALCOHOL IN THE HUMAN BRAIN is like putting sand in the bearings of an engine, both WOULD STOP WORKING."